It’s so nice and warm outside now. Spring is finally here. With this warm weather all I’m craving is raw and crunchy food. My latest obsession is a mixed bean sprouts salad with orange vinaigrette dressing. I have it as a snack, a main, a side or even as a make-ahead dish to take to work. 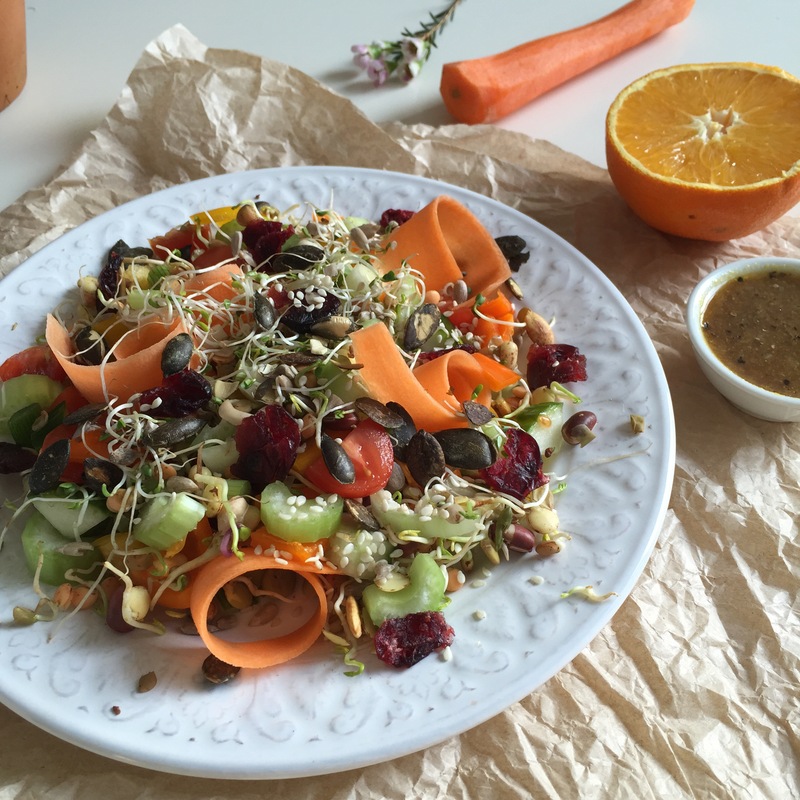 It is very simple and full of healthy raw ingredients. 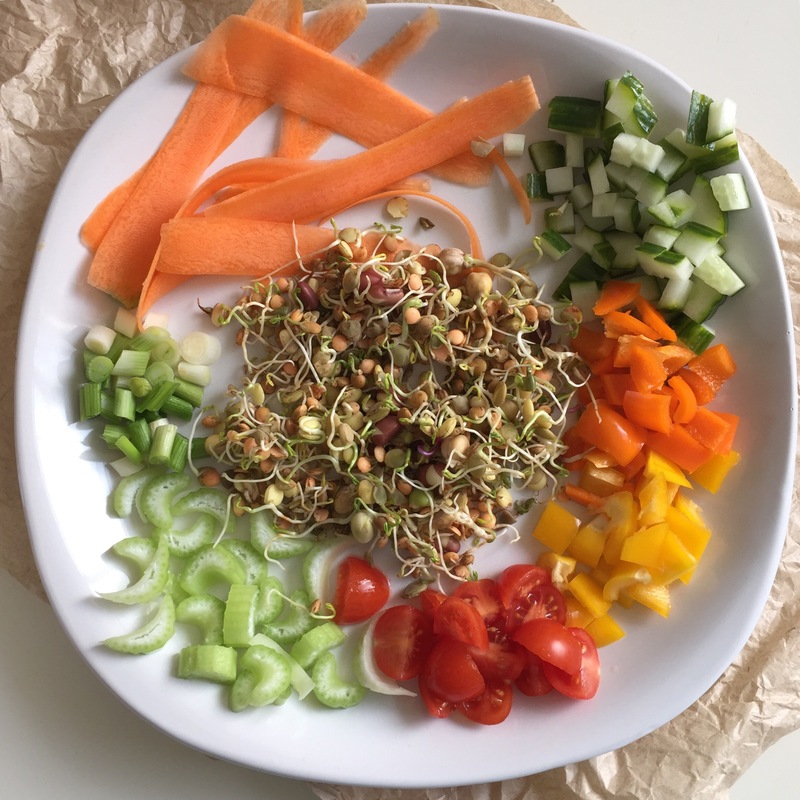 Bean sprouts, when eaten raw, are crunchy vegetables packed with fibre, protein, vitamins and minerals. They are high in Vitamin C, Vitamins B complex, Vitamin A, C and Vitamin E, and a good source of calcium, magnesium, potassium, phosphorous and iron. – sprinkle with sesame and pumpkin seeds.